Went to check out Celcom's iPhone 5 launch last Thursday night which was at Sunway Pyramid's Blue Cube. Get your hands on the world’s most sought after smartphone and experience it first with the best network and the best plans! Was there from 10pm onwards and already there was a crowd forming and anticipating for the launch. Here's the first customer that was at the front of the Pre-order lines Syed Sobrie, arrived from 5pm (The phone was launching during midnight) and he was rewarded with getting the iPhone 5 for only RM5 from Celcom for his enthusiasm. A guitarist joined the fray and serenaded the customers with quirky lyrics about iPhones and such. The customer signing up for the iPhone 5 plans. One of the lucky customer's who got to purchase the iPhone 5 for RM5 by getting the lucky spin. 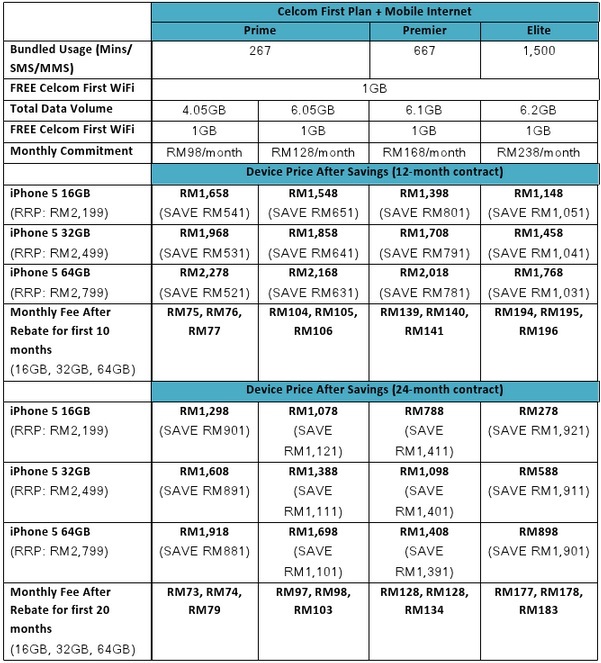 Why register with Celcom? Step up with Malaysia’s best network? • Celcom has the widest network coverage anywhere in Malaysia, indoors, outdoors and on-the-move. • Celcom offers the best network quality, be it messaging, voice calls, video calling, surfing,email, etc. • Celcom gives you the richest web and video streaming experience with its stable connection.